Blood thinning drugs are oral or intravenous medications that help prevent abnormal blood clotting. The formation of blood clots can hinder the flow of blood to the important body parts including the heart, lungs, or brain, which can then lead to life-threatening heart attack, stroke, and other blockages. However, blood thinners should be correctly handled, exactly used as directed, and properly monitored in order to prevent side effects from occurring. Some of the side effects that should be considered and given attention are discussed below. Blood thinning medications can increase the risk of breaking the blood vessels underneath the skin. These broken blood vessels tend to swell, leak, and bleed excessively, leading to bruising. At times, older people may experience unusual bruising due to their fragile skin and vessels, which occurs even after a minor trauma. An obvious blood thinners’ side effect is the formation of rashes or generalized itchiness in the skin. Not all blood thinners can cause allergic reactions. It is deemed necessary to immediately call the attention of the medical experts once the changes are observed or experienced. Being dizzy and getting weak is due to the hypoxic effects of blood thinners in the brain and muscles. This condition is brought about by the decreased amount of oxygen in the body caused by the blood pooling that occurs in other areas of the body. Some may experience weakness in only one side of the body. This is even more alarming and need to call for a medical emergency. Several body pains may be experienced as one of the blood thinner side effects. • Intense pressure headache. Headaches may be due to swelling, bruising, and bleeding in the brain. • Chest pain. Chest pain may be experienced due to the decreased blood flow to the body. • Stomach pain. Pain in the stomach, associated with cramping and extreme nausea, may signal internal bleeding in the lining due to irritations, polyps, or ulcers. • Muscle aches. Muscle aches and pains may be due to the breaking of the tissues brought about by an inadequate amount of oxygen in the body. Blood thinners affect how the blood clots inside as well as outside the body. These medications prevent clotting which could result in excessive bleeding even with small cuts, giving a higher risk of losing too much blood. Others may even encounter nosebleeds as a result of using blood thinners. Blood thinners can affect the monthly cycle of menstruation in women. An increase in blood flow may be experienced when taking some of these medications. Another side effect of blood thinners is the bleeding of the gums even when one is not brushing the teeth. These medications can increase the occurrence of this condition because it can weaken, swell, or even break the tissues and muscles found around the mouth area. The dramatic color change that happens in the stool is a side effect of blood thinners. This condition signals or indicates that there is blood present in the stool. It can also mean that the stomach or the intestine of the blood thinner users are also pooling with blood. Blood thinners can also affect the color of the urine. Same with stools, this also signals the presence of blood. The discoloration of the urine may also indicate bleeding in the bladder or in the kidneys. The numerous tiny blood vessels in the eyes may become swollen or irritated due to the blood thinner drugs. These vessels may also pop due to the increased pressure and swelling that might occur in the brain. 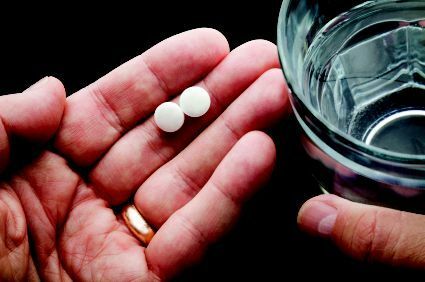 Now that you are aware of the possible blood thinner side effects, a few precautionary measures can be considered or done in order to lower the risk of experiencing them. Blood thinner users should religiously follow the correct dosage of the medication. It is important to go for a regular checkup to determine the status of the body as well as the reaction of the drugs to the body. Always have access to medical help in case an emergency occurs. It is important for the doctor to know what other medications or supplements the patient is taking. This is to ensure that there will be minimal chance of drug interaction that can lead to a more serious or dangerous side effect. Lifestyle plays a very crucial role in making a decision whether to prescribe blood thinners or not. This usually includes the diet and physical activities performed every day. Some blood thinner users may opt to drink the medicine even with an empty stomach for as long as it is followed by a relatively complete diet. Others may still drink alcohol, but only in moderation. Older people, especially those living alone, may have an increased risk of falling or injuring themselves, and may experience more blood thinner side effects, thus making blood thinners not right for them to take. Vitamin K may lessen the efficiency or even diminish the effect of blood thinners in the body. As much as possible, reduce the amount of Vitamin K in the diet by choosing the right kind of foods. One need not completely avoid them but just lessen the consumption. This should be done in order to avoid fluctuations that might lead to bigger problems. Exercise is good for the health since it can lower the risk of stroke and heart failure. However, it is important to choose activities with very minimal chance to fall or injure oneself. Keep in mind that blood thinner users have a greater risk of experiencing internal bleeding and other complications. Those who are working in a high-risk environment should be very careful while taking blood thinners. They should be well advised of the situation and how they will handle possible trauma while they are at work. Other than that, blood thinners should not hinder or prevent one from performing an excellent job. Taking blood thinner drugs can prevent blood clotting for several hours while traveling. However, if travel will take for weeks, it is necessary to have the blood monitored in a nearby doctor.